Finding the best electric shaver for men can be tricky. It’s not a one-size-fits-all kind of product. If only electric shavers were as cheap as disposable manual razors, then you could switch from brand to brand every time you feel the razor isn’t perfect for the job. The shaving industry has slowly evolved over the years from razors, to manual razors and currently to the electric shavers. The modern day human being has become time-conscious and thus, in every activity being undertaken, one would prefer it done in the fastest way possible while still maintaining the quality. Therefore,these shavers have really rescued busy people while maintaining comfort and convenience, since a good shave is deemed to uphold elegance and preserve cleanliness. Unfortunately, the initial cost to buy electric shavers can be high, with the the more expensive models running into hundreds of dollars. The upside though, is that if you’re lucky enough to choose one that fits your hair type, shaving preference, and skin type, then you won’t need to buy any other razor for a long time. If you’re planning to buy the best electric shaver for your needs, then don’t go by just mere luck. Explore what features you'd like to have in the machine and buy the one that caters for those needs. This way you will not be spending extra on a gadget full of different functions that you will never actually use. 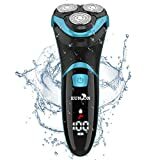 Finding the best electric razor for the money is first and foremost an exercise in determining what it is that you need in an electric shaver. Why? Because the price range of these machines varies considerably and for good reason. Some of these machines can only do the basic dry shaving, while others will allow you to shave, trim, cut, wet shave and can also clean themselves after use. 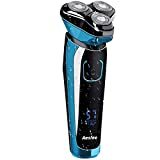 As an example, here is a list of the current top-selling 10 Electric Shavers​ based on Amazon sales. As you can see the range of models varies considerably in price and features. While King Gillette introduced the conventional safety razors in 1903, it was Jacob Schick who invented and released the first electric shaver in 1931. Unlike old school razors that work with direct blade-to-skin action, electric shavers use a gentler approach thanks to a scissor-like cutting action. There are two main types of electric shavers – rotary and foil. Both use foils as cover for the blades. Both work exceedingly well. The difference lies in the technology each type uses and how it will affect your shaving routine and hair type. The rotary shavers have spinning blades and angled slots. The machine therefore grips hair like the scissors does and cuts it against the slot as the hair enters. The rotary shavers are suitable for curved surfaces like the chin. Rotary razors are named after their spinning/revolving action. It features three blades, which are covered by spring-suspended foils. Electric rotary shavers are designed to follow the contour of your face. When you move the shaver across your facial area in a circular motion, hairs enter the foil via a thin layer of metal (mesh) that covers the blades. The rotary cutter then quickly slices off hair without pulling from the roots. The most popular rotary shavers come from Phillips, under the brand name Norelco. The foil shavers consist of curved blades that oscillate to and fro cutting hair like the scissors does between the blade and the mesh as the hair enters the holes in the mesh. Unlike rotary-types, foil shavers use only one razor and the mesh covering the blades are much thinner because titanium, platinum and stainless steel that are commonly used in this type of electric shaver are much smoother, and in turn, results to gentler shaving. In foil shavers, the foil captures hairs through the tiny holes and several cutters swiftly until it cuts off hairs. When you press the shaver closer to the skin, hairs are forced to rise and are cut even before they grow out to the skin surface. Braun and Remington are the most popular foil shavers. This type of shavers are suitable for cutting hair even on large surfaces like the head. 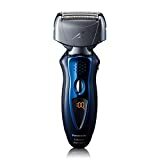 What Electric Shaver Should I Buy? 1) Rotary vs. Foil – An electric shaver works under the same principle with scissors rather than the normal blade cut. Unlike the cutting blade that cuts through the hair as it moves past it, the electric shavers shear the hair against a metal blade and therefore, each hair that passes through the latter is cut. Electric shavers choice of preference falls under two major categories, however, there exist other features that the user can compare when purchasing this shaver. As mentioned above, one criteria of choice for these shavers is the rotary and foil razors. Even though both perform and achieve quality similarly, there are differences on their principle of operation. Rotary shavers aren’t necessarily better than foil shavers, and vice versa, but your decision mainly depend on personal preference. Choose a rotary shaver if you have course or thick hair that tend to grow in various directions. Rotary shavers are ideal for people who don’t shave too often and aren’t after a close shave. On the other hand, foil shavers are better for people who have fine or straight hair, who prefers a more precise close shave, and those who shave every day. This type of electric shaver is able to shave straight edges exceptionally well, so those who trim sideburns would love foil shavers. 2) Hair and skin type – Do you have curly or course hair? Or are your hairs fine and straight? Is your skin sensitive to close-shave razors, or is it prone to razor bumps? The answers to these questions are very important and should be considered before investing your money with any electric shaver. The electric shavers also fall under the category of wet and dry shavers. While most shavers are known to be accompanied by shaving gels and foams, there still exist dry-use electric shavers as well. However, a wet shave is highly recommended to reduce friction and minimize the chances of an injury. 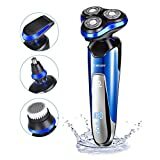 The various electric shavers that fall under this category are meant to improve comfort as well as closeness of a shave to attain a satisfying feeling When it comes to choosing the most suitable and excellent electric shavers for men, this is a critical step and of concern so as to achieve effective hygiene. Therefore, important factors to consider before purchase are the shaver’s performance in terms of the shave closeness, durability of the gadget, ease of cleaning and replacing blades, and above all, it is important to be cautious of imitations and fake shavers. At the end of the day, the shave is supposed to be efficient and highly appealing. Those with sensitive skin can get irritated with dry shaving, so if your skin requires prepping with lotion or other moisturizers, then choose a shaver with wet and dry capability. 3) Special features – Not all electric shavers are made equal. Various features like cleaning system and attachments provide additional comfort and ease-of-use. Power source – Many of the cheapest electric shavers need to be plugged in to work. Cordless shavers are travel-friendly, but they cannot be used while charging. Some models are rechargeable and can be used while plugged in for charging. Comb and trimmer Attachments – Modern electric shavers usually come with a pop-up trimmer, allowing you to continue grooming without the need for other accessories. Some models also include a comb attachment ideal for shaving goatees. Built-in Moisturizing – Norelco developed its Moisturizing Shaving System, where lotion is dispensed at the back of the razor to lubricate your skin before cutting off hairs. Charging features – If you’re always in a hurry, look for an electric shaver with quick charge As a guide, fully-charged havers should be able to last at least 45 minutes for each shaving session. If you hate being unable to finish a shave due to low battery, find a model with a charge display or battery level indicator, so you could charge it before it dies out. Self-cleaning – You’ll definitely feel your investment’s worth with self-cleaning shavers. Some higher-priced razors come with a cleaning station, which does the job for you simply by placing the shaver onto the base unit. This requires refill of cleaning fluid or cleaning cartridge replacements. 4) Shaving routine – Your personal shaving routine should also be considered when choosing the type of electric shavers to buy. As we’ve mentioned above, those who shave daily are suitable for foil-type razors. If you’re used to shaving in the shower, choose battery-operated electric razors. If you prefer shaving with lotions, foams or gels, look for a waterproof electric shaver with wet and dry capabilities. Those who require a close shave should go with foil razors, since these razors can get as close to the skin’s surface better than rotary-style razors. 5) Price – Electric shavers with many special features can be quite expensive. Additional expenses in maintaining electric shavers include replacement of foils, heads, or blades every year. Those with course or thick hairs should expect to replace parts more often though. Make sure the brand/model you choose is covered under a 30-day money-back guarantee, so you could return the item if you experience problems while testing it out for a month. In addition, double-check if the electric shaver you want to buy has a two-year warranty, since this is the standard warranty length in the industry. Braun’s series 3 is our pick for budget electric shavers. The series 3 has five models to choose from: 390cc-4, 380s-4 Wet&Dry, 350cc-4, 340s-4 Wet&Dry, and 320s-4. Why it’s Special: The Braun series 3 models may not be the newest electric shavers in the market, but they offer a closer shave and better cuts-per-minute than the Braun series 1. Two of the series 3 models – the 340s and 380s shavers – are wet/dry models, while 390cc and 350cc are made with an auto-clean system called “Clean and Renew,” which cleans the shaver head in alcohol automatically. Pros: All models in the Braun series 3 are affordable. They are all 100% washable and waterproof. They feature a triple-action cutting system, double foils, and an integrated middle trimmer for smoother shaves and a more precise styling when it comes to your beard, moustache and sideburns. Cons: The Braun series 3 is an older series – compared to series 5, series 7 and CoolTec shavers – so the technologies offered in these shaver models may not be as updated. Check Braun Series 3 Price and specs here. This model comes from the Arc4 series and is capable of wet/dry shaving. It is equipped with the 4-blade ultra-thin foilcuttingsystem with 30-degree nano blades. Why it’s special – The Panason​Panasonic ES8243A electric shaver electric shaver cuts through hairs at 13,000 cuts-per-minute. It has a built-in pop-up trimmer, so you don’t need another accessory for trimming, and a pivoting head that makes shaving hard-to-reach areas easier. Pros – Panasonic’s ES8243A stands out because it works perfectly well for those who prefer a really close shave every time. It is also ideal for those with sensitive skin, since the technology behind this model prevents razor burns and bumps. The battery has also been known for lasting longer than other shavers. Cons – Since the Panasonic ES8243A is cordless, you can’t use it while charging. Many users find the blades to be quite sharp, so beginners may experience occasional cuts. Another issue is that replacement blades for this model are more expensive compared to other shavers. Click here for price and further details. If we had to pick just one model out of the hundreds (and more released each year), we have to go with Braun Series 7-790cc-4 Electric Foil Shaver with Clean & Charge Station as the best electric razor for the money. Braun’s series 7 has several models, all of which are equipped with the most advanced Sonic Technology, but the Braun Series 7-790cc-4 stands out for its features and price. So, if you're looking for an electric shaver that can give you the ultimate shaving experience, then look no further. The series 7, the most innovative and premium shaver line designed by Braun, is probably the best electric shaver on the market. It boasts the Pulsonic technology with over 10,000 micro vibrations that will help you capture more hair with each stroke—ultimately bringing about a comfy shave. Intelligent Sonic Technology – The Braun 7-790cc-4 is equipped with sonic technology that adapts to the user’s facial contours, density of your hairs, and shaving routine. How cool is that? 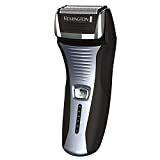 Its 10,000 micro vibrations per minute capability not only ensures you leave with the least hair as possible after every shave, but it also saves you plenty of time. 3 Shaving Modes – Additional personalization options let you choose ‘Extra Sensitive,’ ‘Normal’ and ‘Intensive’ models to fit everyone’s shaving needs. Active Lift – For anyone who has difficulty shaving flat-lying hairs in hard-to-reach areas, the Braun 7-790cc-4 solves this problem via its one-of-a-kind oscillating middle trimmer that lifts and cuts problem hairs at 130 movements per second. Smart Ergonomics and OptiFoil – The Braun 7-790cc-4 is designed with a pivoting head and floating cutting parts, which gives an exceptionally close shave. Plus, its OptiFoil ergonomically-designed foil holes ensure that more hair – even deeper ones – are reached and cut off. Clean and Charge station – The Braun 7-790cc-4 has an alcohol-based cleaning system that renews your system with only 4 steps. With a touch of a button, the shaver is cleaned, charged, lubricated and dried – all within an impressive 25-second session. LCD display – It shows battery level and hygiene status, so you know when to recharge and clean your system. Impeccable Operation – The biggest advantage of Braun 7-790cc-4 against its competitors is the quality of shave since the result has been praised for the closest quality of a razor shave. It also operates pretty quietly, so if you’re sensitive with noise, this model wouldn’t be a problem. Cons: The biggest disadvantage of the Braun 7-790cc-4 is its price. This unit also requires refills for the Clean and Renew cartilages (about 4 refills a year). That’s why I really like this product because there’s no time to waste in cleaning. It utilizes a Li-lon battery without a memory effect. It’s similarly easy to recharge the battery when it gets exhausted. Another bonus (of course which I like) is that the shaver has a very low self-discharge rate, and Li-lon batteries are the most long-lasting batteries available in the market today. In a nutshell; this shaver is flawlessly engineered to execute an ultimate grooming experience. Also, Braun really shines when it comes to maneuverability. It can easily maneuver each and every section of your head to bring about a decent grooming. For those who’d like to achieve a decent grooming experience, this is definitely the most perfect shaver to buy. 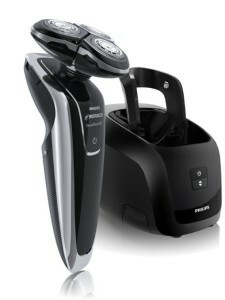 The Philips Norelco S9721/87 Shaver is one of 9700 shaver series and also among the most recent and advanced shavers. Itis designed with unique features making it outstand among other kinds of electric shavers. It has V-Track Precision Blades which is the new improvement of the electric shave which enables it to collect all the hair in the shaving area. This increases comfort while shaving. Also, these blades self-sharpen so to ensure a perfect daily shave. The unique Contour Detect Technology. Also, it has three shaving heads with each shaving head moving independently in eight directions to conform to varying facial curves, with this unique design it cuts 20% of hair only in a single pass. Philips Norelco S9721/87 Shaver features include a digital user interface with an inbuilt motion sensor. The digital interface enables you to be in control the parfomance of your shaver due to the display of low battery indicator, percentage level of the battery, cleaning indicator, travel lock indicator and a replacement head indicator. This facilitates effective maintenance. 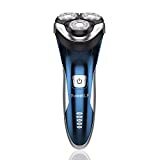 In addition to the state of the art features of Philips Norelco S9721/87 Shaver, it is designed with three personalized comfort settings. This enables you to regulate the speed and choose the speed that suits the type of your skin and hair type. The Philips Norelco S9721/87 Shaver has SmartClean PRO, which keeps your shaver like new every day. It is made with an advanced multi-display indicator that tracks the shavers’ progress the SmartClean cycle. This system composes of alcohol-free, skin- friendly formula, gel and foam that cleans the hair. Moreover, the system lubricates the blades of the shaver thus reducing friction that in turn prolong the durability of the shaver. The new Panasonic ES-LA93-K Arc is the new toy that will help you to have that morning shave at the comfort of your own home. The electric shaver works both in wet and dry circumstances even though it uses electricity, there is no fear of being electrocuted .To have that smooth chin, this new toy from Panasonic has a four blade cutting system. It is guaranteed to give you a very smooth shave. The gadget also has a pop up trimmer. This new electric shaver has a wonderful sonic vibration cleaning system that together with the detergent cartridge help to keep you away from germs and infections during shaving. The four Nano blades are placed at 30 degrees angle in order to achieve maximum hair removal. 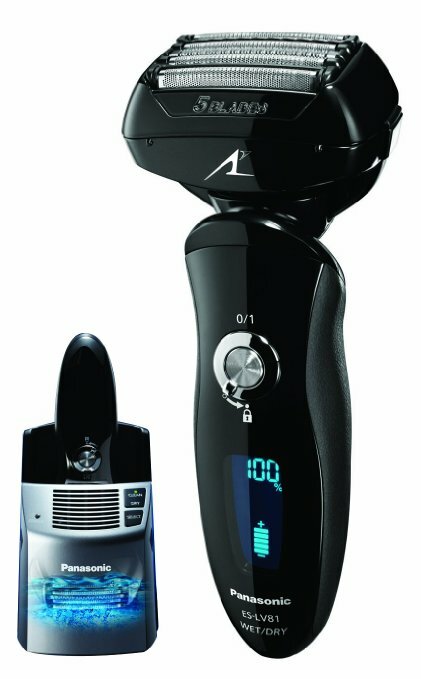 It has an LCD display that shows the level of power.The multi flex pivoting head makes it possible for one to shave comfortably. Its motor driving system is one of the best, it has a motor system of 14,000 CPM Linear Motor Drive System.In order to prevent the unit from going down, the device has a lock button. This stylish device also has a multi fit arc foil and an outer ultra-thin foil.It is one of the electric shavers in the market that has a very cool design and looks very appealing to the eye. The Panasonic ES-LV81-K Arc5 Electric Shaver for Men is an excellent electric shaver for multiple reasons. 1). it is includes a 5 Blade ultra System with 30 Degree “Nano Blades”. This provides great experience. 2). it has a 14,000 CPM Linear Motor Drive, which includes a trimmer that pops up. 3). there is a 10 – stage readout Charging System included. 4). there is an amazing new cleaning mode for quick clean-up. You can use the razor either wet or dry. It is water proof and comes with a handy travel pouch. It also is powered by an AC adapter. It is a very highly enjoyed product and ranks well on global e-commerce sites on one of the most popular e-commerce sites in the world.It is important to note that it is a foil shaver. If you are looking for a shaver and you are happy with a rotary shaver this is not the one for you. However if you are looking for a foil shaver this is an excellent choice. Finally it is quite a quick shave, in case you are someone who shaves in the morning. It feels gentle and there is less irritation then with previous shavers. Some users claim that the shaver reduces their shaving time. Overall this is a great purchase for anyone who is serious about shaving! 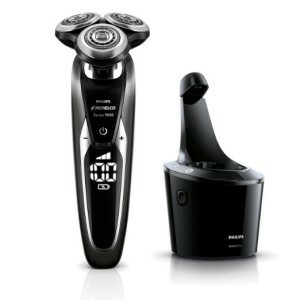 Philips Norelco shaver 8900 model number 1280x/42 provides an ultimate shaving experience. The ultra track system as well as the gyro flex three dimensional made the shaver very unique thus offering high quality hair shaving. This is the most advanced shaver that is currently available in the market. Philips Norelco shaver boasts various classical features. The Norelco shaver name and the product packaging have recently been updated for a smooth user shopping experience. 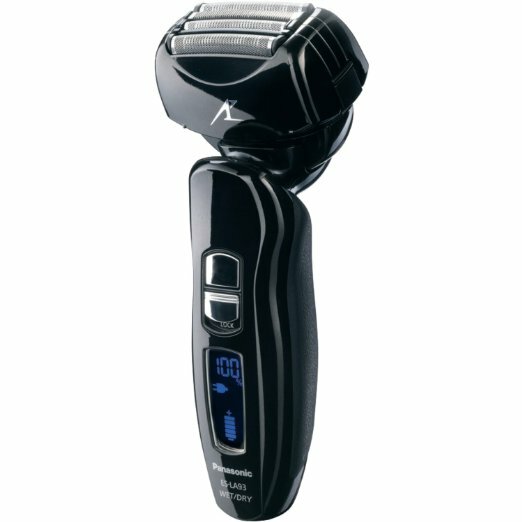 The new name of this specific shaver is the Sensotouch 3d 1280xcc. The gyro flex 3d system is an amazing feature which makes it possible to follow every contour on the face and shave even the very small in size hair as it adjusts to every curve present. This helps in minimizing the irritation and pressure. The cut action and the patented super lift provides comfortable hair cut as the ultra track heads grab every single hair with a minimal number of strokes being applied. This features offers a great sensational cut which is very smooth. The famous aquatec seal will provide either a dry shave or a wet shave which has a great sense of refreshment. The wet shave feature allows the application of foam or even gel for maximum skin protection. The moustache can be shaved effectively through the use of a pop out precision trimmer. The shaver also provides a smooth shave with a minimized low skin glide friction which takes great care to the skin preventing any damages and after shave irritation from occurring. The Philips Norelco shaver 8900 has a nice grip handle feature. This has a great impact on the user as one is able to have a close control while shaving. This shaver precision trimmer is very skin friendly. The Norelco shaver is lubricated and charged by the jet clean as well as the system cleans. The shaver has a charging time of one hour, is cordless, has a maximum shaving duration of twenty days and has a batter indicator. This is the very best shaver for you to purchase today. 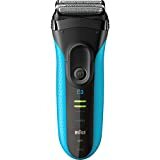 By the way, if you're looking for very cheap and minimal features, then Philips have the very unique Oneblade electric razor which you might want to consider. Check out our full review here. 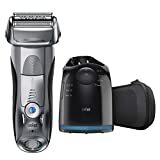 If you’re looking for the best electric shaver for men and prefer to skip the research, we can fully back up the Braun 7-790cc-4 and its amazing close shave capability and several advanced technologies. However, it is always best to do a little research on your own, and check out electric shaver reviews to see your options and make an educated purchase. After all, buying a quality shaver that can meet your shaving needs is an investment that you won’t regret.